I am an inherently grateful person. Every day I recognize that I’m thankful for my health, my family, my job, the roof over my head – which I know sounds like some syrupy religious freak, but it’s true. So it surprises me that I am well enough to celebrate Christmas with my husband’s and my family, and yet I’m a little pissed off. 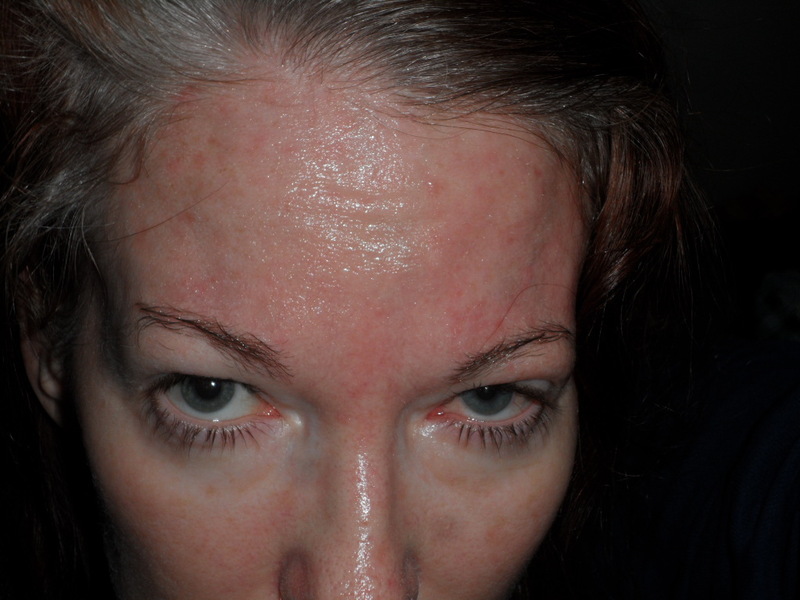 The onset of shingles occurred over six weeks ago, and I still have low-grade constant pain and raw, sensitive skin. But I’m no longer bed-ridden, and lucky to be able to enjoy the holiday. However there’s one teensy concern – my vanity. I apply a shiny layer of Aquaphor to my nose and forehead, which means it’s impossible to wear makeup. I tweezed my eyebrows too much in high school, so now I only have scraggly hairs attempting to cover my brow like a bald man with a bad comb-over. Eyebrow pencil won’t stick to the greasy skin. My left eye is still puffy and red and I’m afraid to put on mascara and eye shadow for fear it will hurt to take it off. The worst part is my roots. I’ve dyed my hair red for over 20 years, so almost no one knows me as the blonde I grew up as. 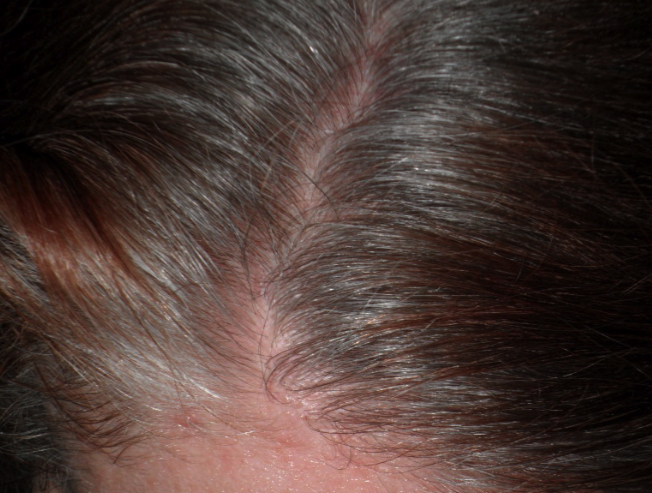 I started turning grey in my 30’s, and now my natural hair is almost completely grey and white. The left side of my scalp is still burning, so I can’t dye my hair and my roots are now over an inch long. My plan is to wear a big Santa hat that will cover my roots and forehead and avoid cameras as much as possible. I’m burning every shot of me!!! You are scary good at these songs. Hang in there. You’ll be able to color your hair soon enough. That said, I’d be freaking out too. “Soon enough” isn’t coming soon enough. Consider your timing very lucky – what other family events accept, no, ENCOURAGE the wearing of a large furry hat? Thanks for reminding me. Yes I am lucky. You have no idea how happy you have just made me! Thank you for commenting on Tony. He does have an insight that makes ya go Hmmmm. His whole book it gear like this. Okay it has been a few days. What did you decide about your hair and how are the shingles today? I overdid it with the multiple Christmas festivities (a quality problem) & had to sleep in til noon yesterday. Feeling better today & the roots are longer than ever. Definitely going to bite the bullet (literally, since my scalp still hurts) and dye my hair before New Year’s. So you came by this particular human quality naturally. I hate looking in the mirror and I don’t even have a medical problem, just a problem with vanity.. Thanks mom. I will be one happy lady if I’m as attractive as you 20 years from now. Whoa! That was me. I forgot to sign in to WordPress. And again. I think I’m finally logged in. That’s a great idea! I go to the beauty supply store & get a tube of hair paint. 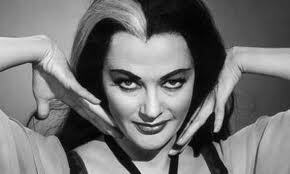 I apply the temporary color with a mascara-like wand to just the roots along my forehead and part. The downside if it makes my hair feel crusty, and the tube is a little pricey.